CHELMSFORD, Ont. 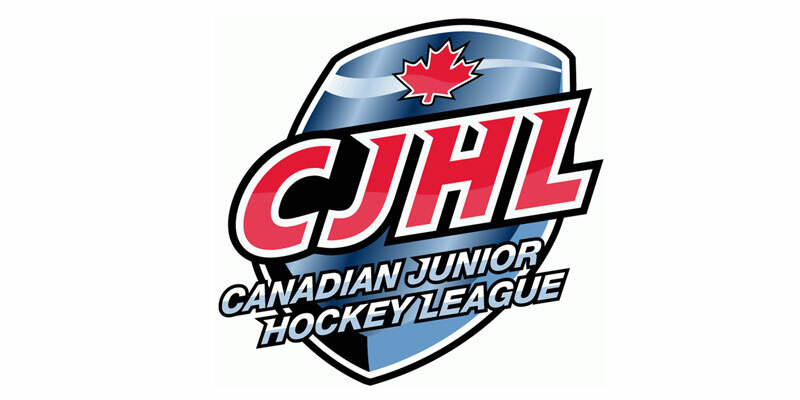 – The Rayside-Balfour Canadians rallied from a pair of two-goal deficits to pull out a 4-3 come from behind victory over the Powassan Voodoos Thursday evening in a hotly contested Northern Ontario Junior Hockey League match-up at Chelmsford Arena. After meeting Wednesday in Day 2 play of the NOJHL Showcase in Sudbury, where the Canadians handed the Voodoos their first loss of the season in regulation with a 3-2 triumph, it was Powassan that got on the board first on this night as Gabienen Kioki collected his fifth of the campaign 67 seconds in. Another first-year Voodoos skater in David Campbell then extended the visitors cushion to two at 9:08. However, the Canadians countered a mere 15 seconds later to get them going offensively when Kyle Liinamaa knocked in his third to pull them within one heading into the middle session. In that second stanza, Powassan added one in the early stages of the frame when Matthew Hardwick was left alone in the slot and after receiving the puck, made a quick move left and snapped a shot past Rayside-Balfour goaltender David Bowen. They then had a chance to extend their lead even further a couple shifts later during a man advantage, but it was the home side that would strike shorthanded when Benjamin Hatanaka darted down the right wing and wired one top shelf over the glove of Voodoos’ starter Joe Vrbetic at 4:59. The Canadians then tied it at 18:44 when Liinamaa worked his way free from in close and slid in the equalizer to knot the affair at 3-3. It stayed tied until deep into regulation, when Rayside-Balfour countered in the neutral zone and moved it quickly over to Noah Serre driving down the left side who came across the blueline and whipped in the difference maker high blocker side on Vrbetic with 2:27 to go. Powassan pulled their netminder in the late going in an attempt to force overtime, but Bowen and the Canadians held firm defensively to pull out the narrow triumph. Alexander Fowke and Ethan Lavallee dished out two assists each for RBC while Campbell had a pair of helpers for the Voodoos. Bowen finished with 27 stops on the night helping his club improve to 8-5-1-1 on the campaign while Powassan fell to 9-2-1-0 as they dropped back-to-back games in regulation for the first time since early November of 2015.